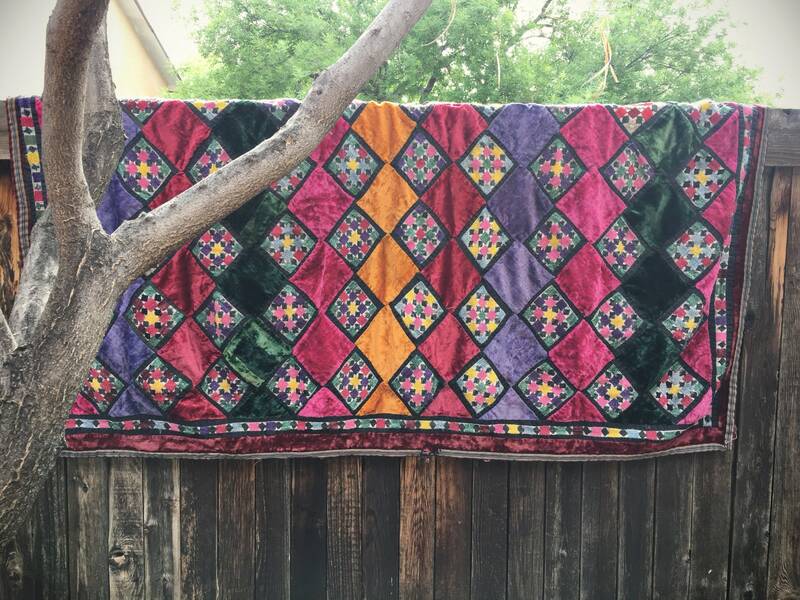 This patchwork quilt top in velvet and embroidered squares came from Santa Fe's Museum of International Folk Art annual sale to the public. 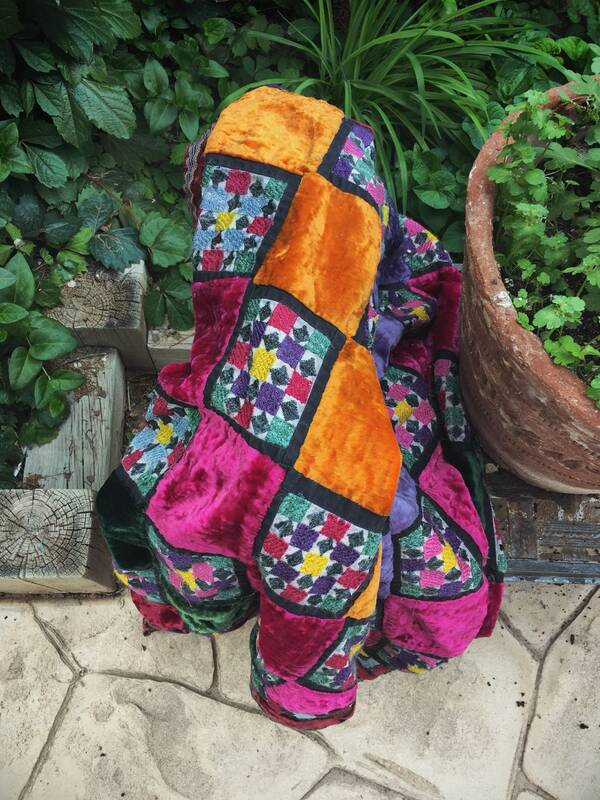 What stood out to me were the deep and rich colors of velvet--purple, orange, burgundy, forest green--interspersed with linen squares that have been embroidered in similar colors and shapes. 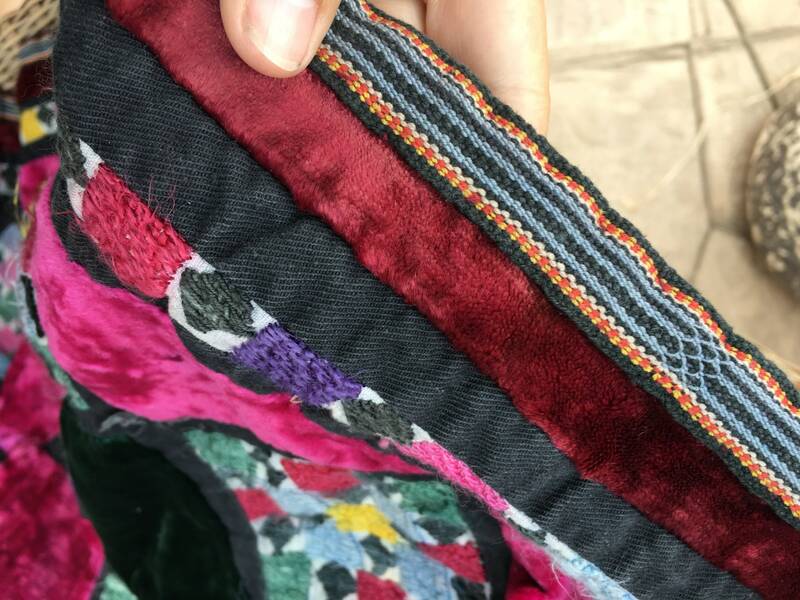 That embroidery on linen repeats itself on the interior border, then red velvet as another border, and then a black ribbon with white, yellow, and red. The squares are set on a diamond angle, which adds to the life of the piece. 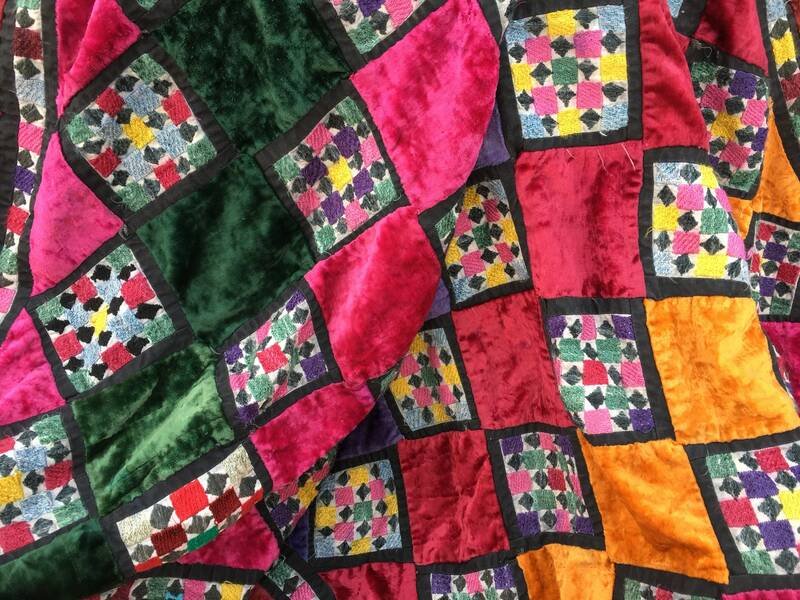 This is a quilt top only, and we believe it is from the Victorian Era, when velvet crazy quilts were popular. 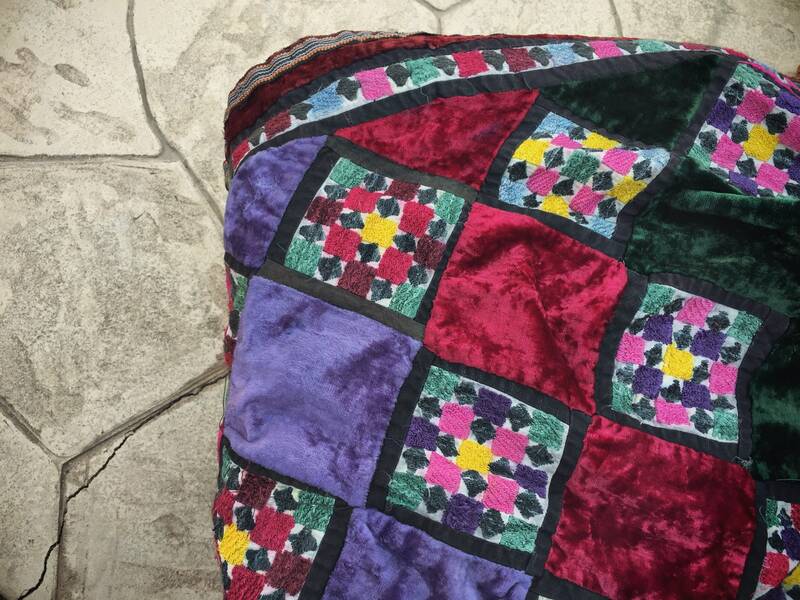 From a website about crazy quilts: "During the height of the Victorian era, homes could not have enough embellishment. 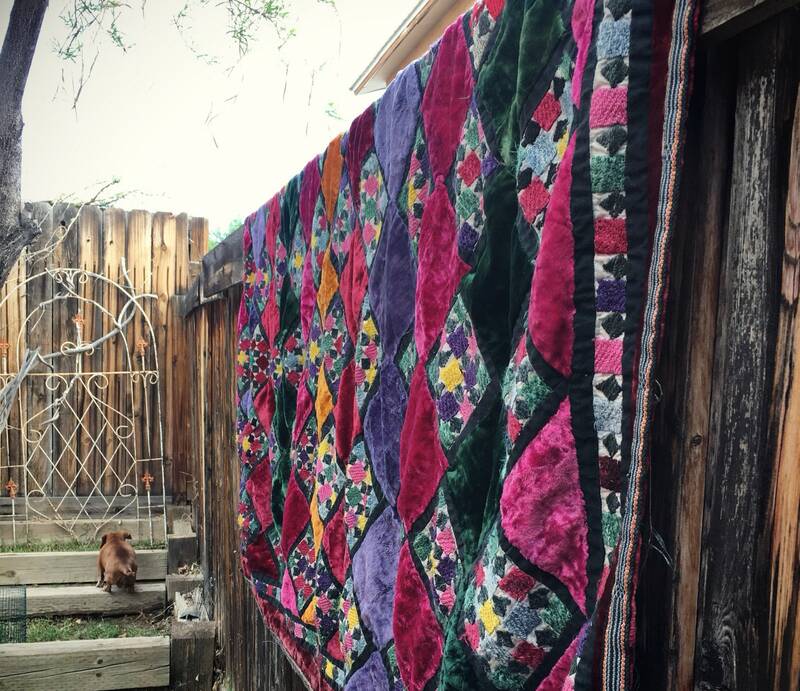 Women wholeheartedly threw themselves into decorating every inch of the floors, walls and furniture...Crazy quilting allowed women to display their artistic abilities in needlework, oil painting, and arrangement of embellishments. Silks, silk velvets and chenille, and threads of every hue were used to incorporate names, dates, pictures, and a wide assortment of symbols." 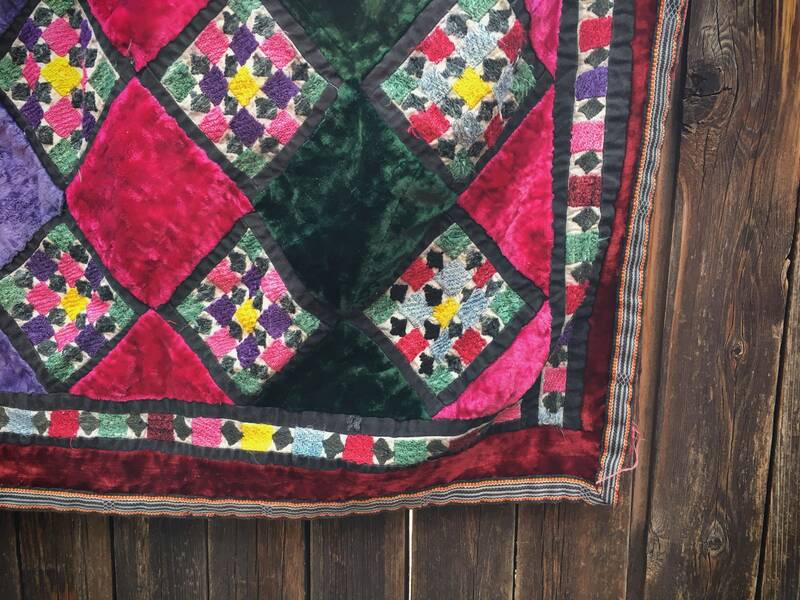 We believe this particular quilt may have been in a New Mexico home during that era, probably 1880s to late 1890s. It would have brought an air of whimsy to what was probably a small and dark room, with thick walls, with white washed adobe walls. 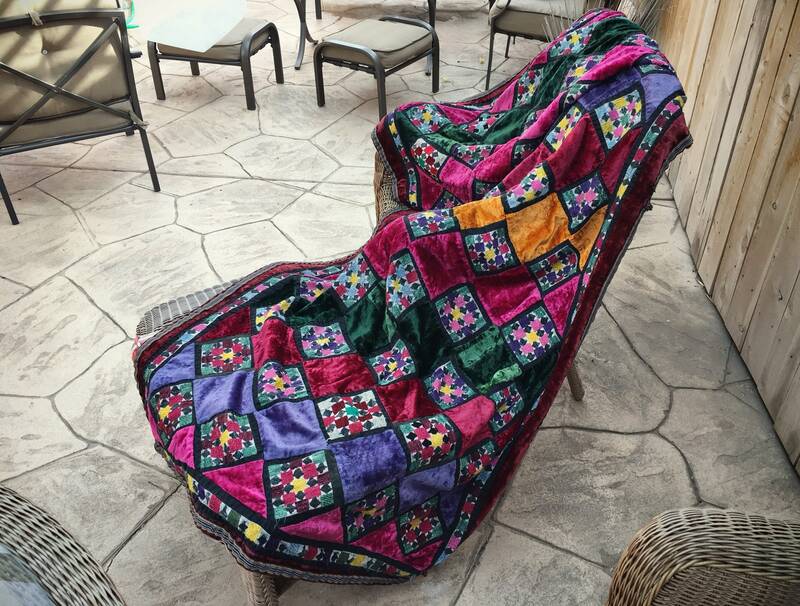 There is wear to this quilt. For one thing, as a quilt top, the underside has loose threads and edges. But in addition, there are areas along the edges where the fabric has worn and torn. Still, it is a wonderful example of the type of bohemian vibe that was alive in the Victorian era, in contrast to proper ways. 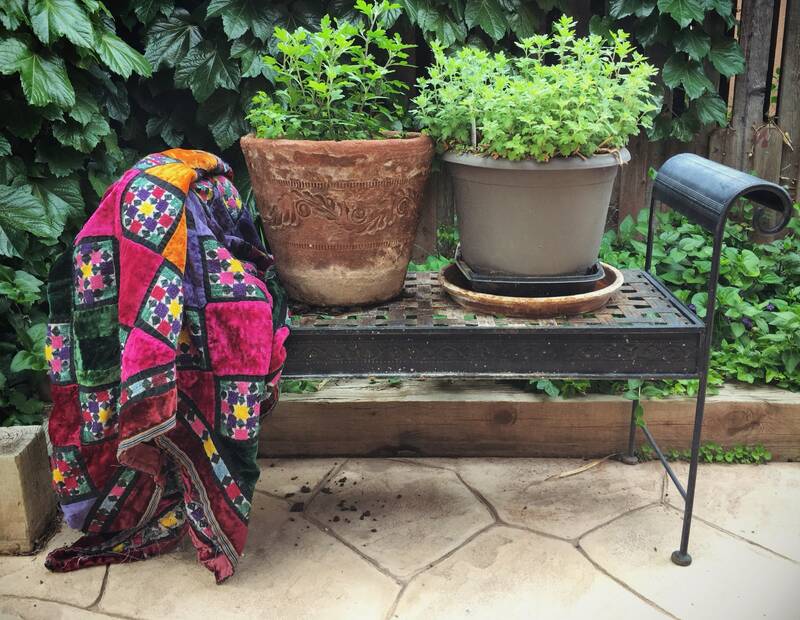 If you love rich color and pattern, you will love this and can use it as a sofa throw or a bed cover to bring life to an room. Measures just about 45" long (3.75 feet) by 40" wide (3.33'). In spite of the messy back and few tears along the border, it is relatively good condition given the age. Weighs three pounds unpacked. Vintage decor with a story.